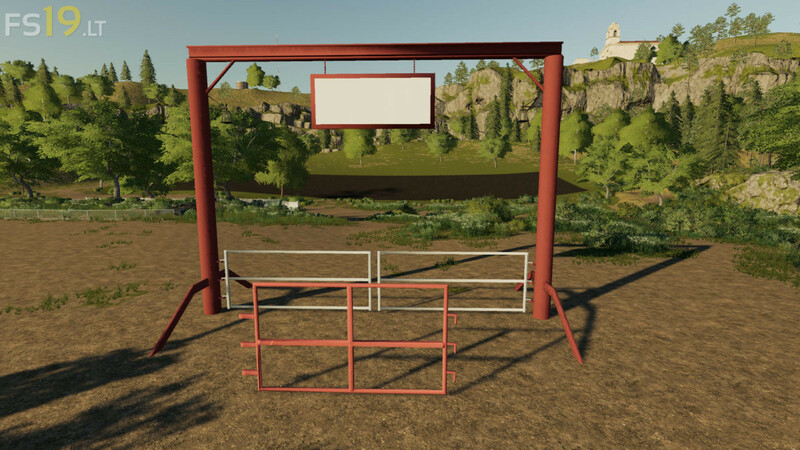 This a gated farm entrance with animated gates and a placeable fence section to add to the entrance, or the entrance can stand alone. The overhead sign is blank so you can add your own logo as you see fit. Simply open the logo texture in the Texture folder and add your farm logo ,save and it should show up on your entrance. The price for the entrance is $ 1000 and each fence section is $100. The upkeep for each is $1.